In the Jumpbar, click New, then click Internet of Things, and then click Azure IoT Hub. In the IoT hub blade, choose the configuration for your IoT hub. In the Name box, enter a name for your IoT hub. If the Name is valid and available, a green check mark appears in the Name box. Select a Pricing and scale tier. This tutorial does not require a specific tier. In Resource group, create a new resource group, or select an existing one. For more information, see Using resource groups to manage your Azure resources. In Location, select the location to host your IoT hub. When you have chosen your IoT hub configuration options, click Create. 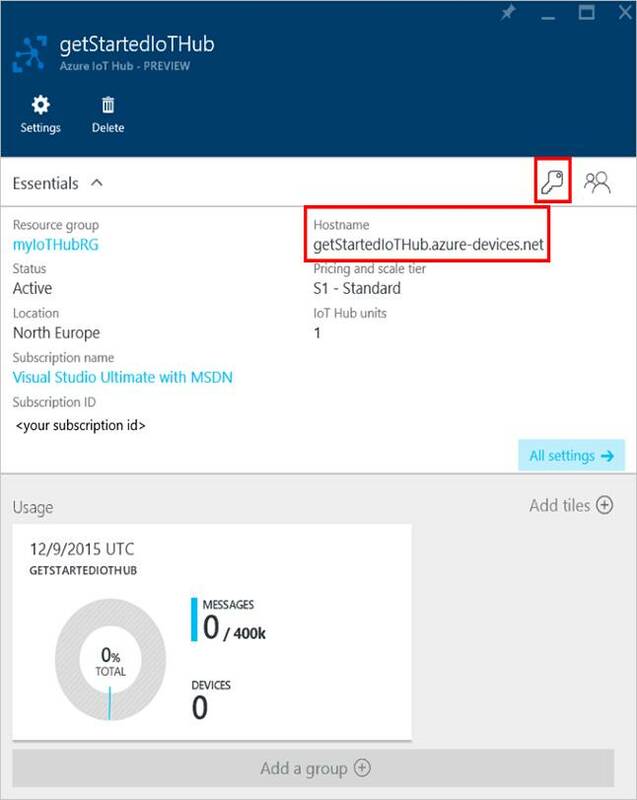 It can take a few minutes for Azure to create your IoT hub. To check the status, you can monitor the progress on the Startboard or in the Notifications panel. When the IoT hub has been created successfully, open the blade of the new IoT hub, make a note of the Hostname, and then click the Keys icon. Click theiothubowner policy, then copy and make note of the connection string in the iothubowner blade. You have now created your IoT hub and you have the hostname and connection string you need to complete the rest of this tutorial. Enter the Driver Name you wish to use. 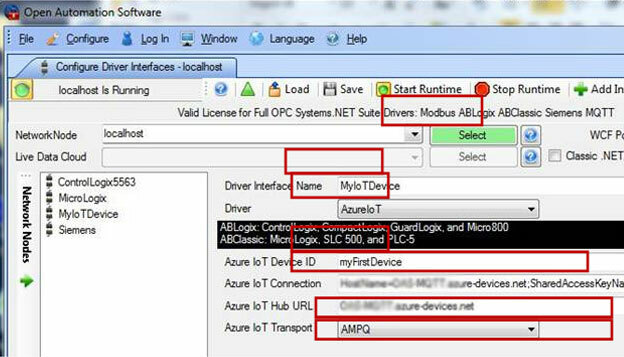 Enter the Azure IoT Device ID you want to use. 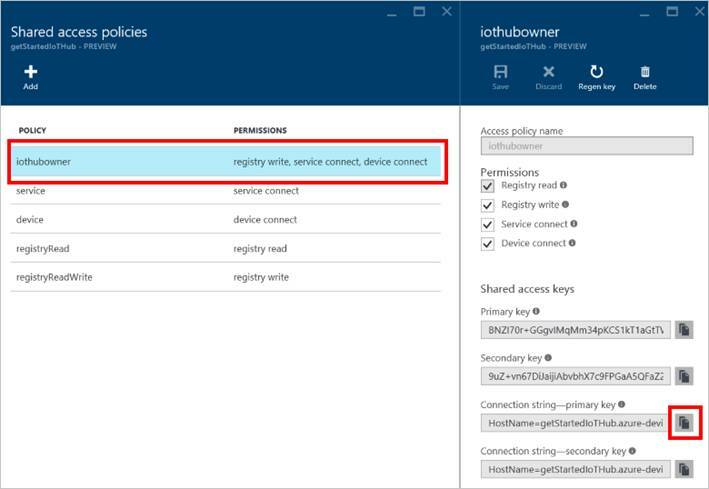 Enter the Connection String from Step 5 of the previous section into the Azure IoT Hub Connection field. Enter the hostname from Step 4 of the previous section into the Azure IoT Hub URL Field. Select the preferred Azure IoT Transport. At the bottom Left of the configure application select Add. Route Live Data to your Azure IoT Hub. From the demo tags select the Ramp Tag. Select the Azure IoT Destination type. Select the Driver interface you created. Apply the Changes and you should now be writing to your IoT Hub. The message is formatted as follows.